Backed by over a quarter century of media relations experience, The SolutionPR is a preeminent, boutique PR firm specializing in legal public relations, law firm PR, healthcare PR and technology. We successfully create national and international experts and thought leaders for law firms, hospitals, healthcare enterprises and technology companies. On any given day of the week our clients are being quoted in the most important stories of the day in top tier publications such as The Wall Street Journal and The New York Times. With our particular focus on legal public relations, law firm PR, medical public relations and technology, we believe that no other PR firm gets the quantity and quality media exposure that we do for our clients. We have broad and deep relationships with broadcast and print media at every level — from local media markets to the Wall Street Journal, CNN and NPR — while avoiding the mass marketing approach other PR firms use at the expense of reporters’ patience and clients’ credibility. We are unique because we are quick and agile, knowing who to go to in a moment’s notice, and how to successfully interest reporters, producers and social media influencers anywhere in the world. We are successful because at The SolutionPR, we focus on one thing, and do it better than anyone else can in gaining an unmatched amount of earned media for our clients through proactive media relations. Our efforts result in our clients becoming consistently sought-after media sources in their fields of expertise. At the SolutionPR, you never have a junior account executive handling your account. Our clients are served by seasoned senior-level professionals who have all worked in the news media industry and have vast experience in story creation, reporting, editing and producing. The SolutionPR offers a unique approach to media relations for its clients, one that most closely mirrors a political campaign – high-energy creativity, precision targeting, and solid relationships with the right reporters. We develop long-term relationships with reporters based on our reputation for bringing them only the most newsworthy information and angles we know they will want to cover. And we bring to our clients creative ideas for stories that can be kept alive in the media using a variety of outlets. Our philosophy encompasses years of experience that tells us that publicity for publicity’s sake does not work. Our goal is to gain press for our clients that gets real results. We don’t believe mass marketing to the media is successful. It wastes valuable resources by pitching stories to outlets that aren’t relevant. In our experience reporters ignore the reams of canned press releases issued by so many of today’s PR firms. Our philosophy is to create one-on-one relationships with reporters and craft stories to cater to their individual needs. Our typical legal public relations or healthcare client is often not satisfied with their current PR firm’s media exposure results. They are looking for better return for their PR dollars in the form of increased media exposure, either regionally, nationally, or internationally. We enable our clients to exploit our vast relationships with regional and national reporters/editors. In turn, we take advantage of our clients’ successes and expertise and turn that into an aggressive media campaign, which results in increased earned media exposure for them throughout their region, the U.S. and even internationally. Unlike other law firm PR firms or healthcare PR agencies, at the SolutionPR, you never have a junior account executive handling your work. Our clients are only served directly by The SolutionPR leadership; seasoned senior-level media professionals who are speaking directly to the reporters and producers on your behalf. Our principals lead a team that include journalism professionals, each with vast experience in story creation, reporting, editing and producing in all forms of media. Wendy has built and run successful public relations operations for law firms, attorneys, hospitals, doctors, companies and organizations for more than 20 years. Wendy launched The SolutionPR in 2001 after seeing a disconnect between the way elected officials attract the media’s attention and the way that most companies and organizations conduct public relations. Concerned that most companies fall back on a worn out model of issuing press releases for every new product and executive hire, Wendy saw the tremendous return from a more creative, proactive outreach to reporters and producers. 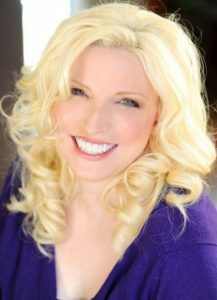 Using a bold, aggressive “press secretary” model, Wendy has garnered thousands of articles and media coverage and attracted clients from the healthcare industry to the legal industry – from financial services to homeland security and technology, solidifying deep rooted relationships with reporters all over the world in a variety of specialties. Wendy served as Chief of Staff to Rep. Ron Wyden (D-OR) (now a U.S. Senator), as well as Director of his communications and media. Prior to that, Wendy worked as Director of Communications for National Strategies, Inc., a political consulting and lobbying firm in Washington, D.C. Wendy has served as Media Director for several successful local and national campaigns around the country. And at Edelman Public Relations, she managed and developed communications strategies for several high-profile litigation cases and served as U.S. press liaison for several international governments. 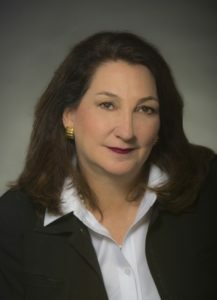 Throughout her career, Wendy has built solid relationships with the legal, business, and consumer press – relationships based on her reputation for sound news judgment and a proven track record of bringing only the most newsworthy events, issues, products and companies to editors’ attention. Laura is a valuable member of The SolutionPR leadership. For almost a decade, Laura has been getting clients top news media exposure nationally, regionally and internationally. Her keen instincts about news and her vast relationships with reporters and producers around the world makes our clients some of the most sought-after experts in their industries in the country. Laura spent seven years in broadcast news working as a producer and reporter at Gannett television affiliates (KUSA & KTHV). Her experience working the media has given her unique insight into newsrooms. Laura is also a videographer and photographer who produces videos and photos for client websites that can be used in marketing efforts. Education: BA Mass Communications, University of Central Arkansas with a minor in Honors Studies from the UCA Honors College. In her spare time, Laura is a fitness enthusiast who enjoys Tough Mudder obstacle courses for fun and has made it a goal to conquer Colorado’s Fourteeners (14,000ft or above mountains).